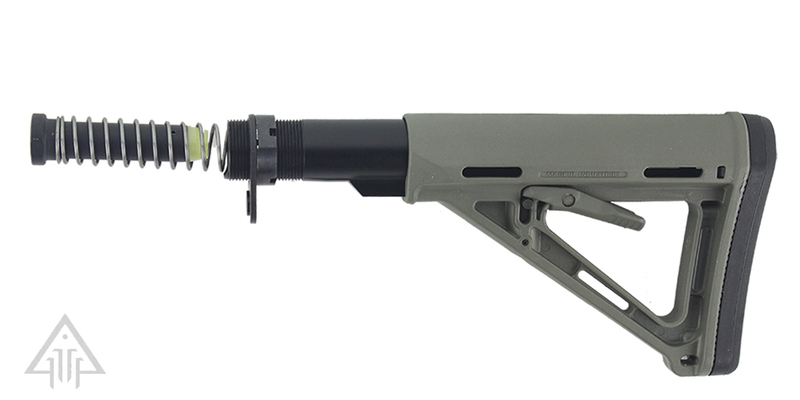 The MOE Stock Commercial-Spec Model (Magpul Original Equipment) is a drop-in replacement buttstock for AR15/M4 carbines using commercial-spec sized receiver extension tubes. Designed for light, fast action the streamlined A-frame profile avoids snagging and shields the release latch to prevent accidental activation. 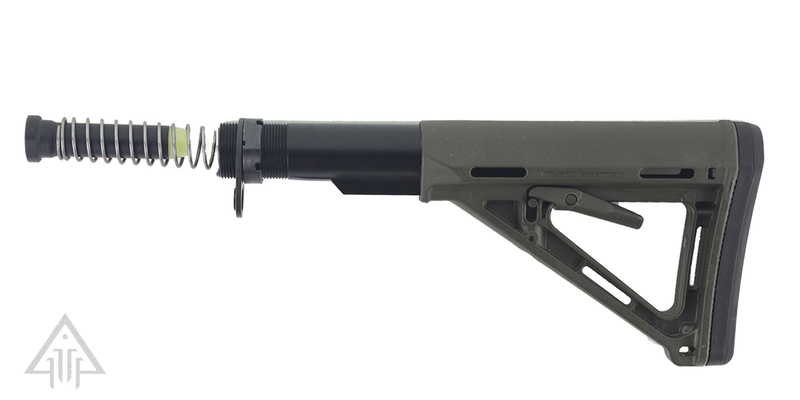 NOTE: There are two basic sizes of M4 Carbine receiver extensions (buffer tubes): mil-spec and commercial-spec. If you have a mil-spec extension on your rifle, make sure to order theMil-Spec MOE.